Can essential oils reduce inflammation? Research is limited, yet people who use essential oils for inflammation believe they work. Here’s what you should know. Ancient civilizations have been using essential oils to treat medical ailments for centuries. That’s a fact, but do they actually work? Using essential oils to treat inflammation has its detractors and fans. 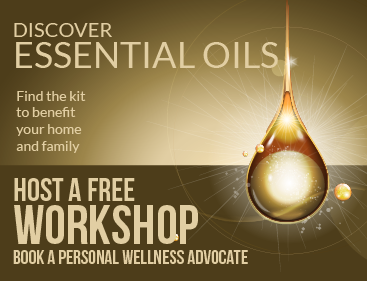 Essential oils are distilled from a plants’ roots, leaves, stems, flowers, or bark. The result is highly concentrated oils that contain the fragrance and properties of the plant. Several online sites claim that oils can cure a wide range of illnesses. Thyme, a popular herb used in cooking, was the most effective because it reduced inflammation by 75 percent. Researchers found that thyme contains antioxidants, which can help reduce an overabundance of inflammation. You can purchase essential oils at some drugstores and health food stores. These essential oils can be applied in three different ways. Diffusion is when you inhale the scent. You’ll need to buy a diffuser and place the essential oil into it. You then let the aroma fill the room. This is used if your inflammation is stress-related. Massage is a relaxing way to use essential oils. You apply diluted essential oil directly onto the inflamed area. The oil is used to reduce swelling and pain. You can also take essential oils by mouth, BUT DO NOT SWALLOW. This is rare; some essential oils are meant to be gargled, not swallowed. A study found essential oils were used as a mouthwash to reduce inflammation of the gums caused by gingivitis. In addition to not swallowing essential oils, don’t put the pure oils directly onto your skin. These oils should be diluted with a carrier oil, which is a base or vegetable oil. Start with one ounce of carrier oil to 6 drops of essential oil. Popular carrier oils include coconut or jojoba oils. Before you use it, place a tiny drop on the inflamed area to determine how your body will react. If you don’t have redness or any irritation within 24 hours, it should be safe to use. It’s always wise to discuss this with your doctor. If you are experiencing inflammation, your first line of action should be talking to your physician before reaching for an essential oil. It’s possible that some essential oils may mask the problem without treating its underlying cause. And if you are pregnant or breastfeeding, talk to your doctor before using any essential oils. How Salon Management Software Can Help To Manage A Business!